Aloha edit in context menu is not closing after you click on the content block. Are your CSS Styles not showing up in the drop down? 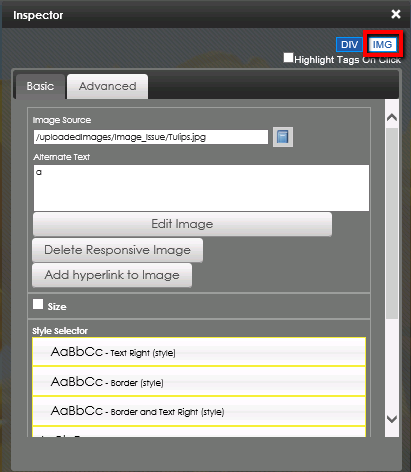 If you are using the Aloha editor with Internet Explorer 10 and insert an image then open the Inspector, it shows responsive imaging options but does not display the tag in the top right. In some circumstances, you may want to apply styles to the image tag. This article explains how to do that. 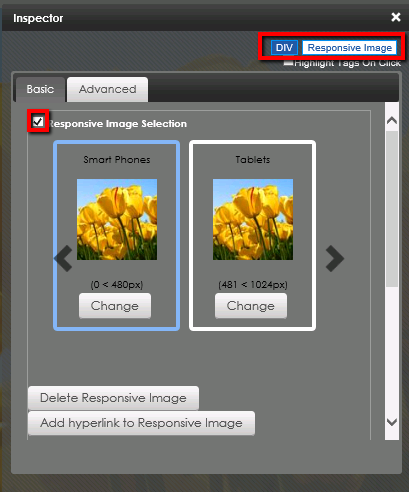 1) Uncheck the Responsive Image Selection box. 2) The image tag appears in the top right. Click it. Now, you can apply styles to the image.